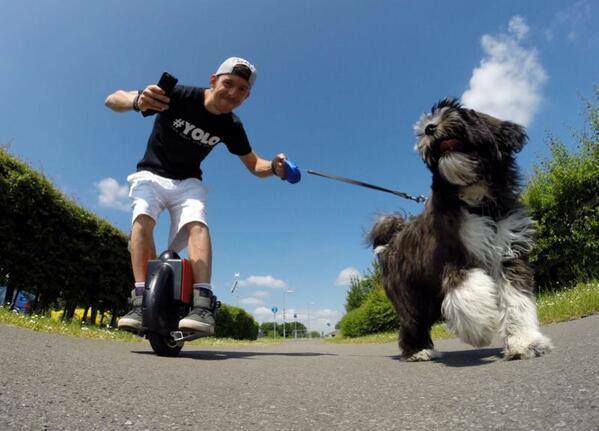 Abstract: Airwheel Technology Company innovates and brings out new electric unicycles that feature the latest technology, offering a great convenience and comfort to the modern riders. While vividly describing the life, once Albert Einstein had said, “Life is like riding bikes. To keep your balance, you must keep moving.” And Airwheel offers a wide range of self-balancing unicycles to keep moving and maintaining balance and control. For people, Airwheel electric self-balancing unicycle could prove a veritable way of moving ahead in life with joy and simplicity. Embedded with the sophisticated gyroscope system, Airwheel unicycles offer the much-needed comfort, safety and usefulness for the modern populations. With a magnified human-machine interface, a rider can easily control the movement and direction of the self-balancing unicycle. The anti-collision design at the back of the handle bar of the unicycle reduces the impact due to collisions. Airwheel’s latest S3 model comes with the fully sealed circuit boards, allowing riders to move ahead without worrying about the water leakage. Airwheel continually upgrades features and specifications of its unicycle models and the latest models come with great and advanced features. The new models also feature LED atmosphere lights for an effortless steering experience. The effort is to achieve a small and compact design that is lighter in weight and offers a smooth riding experience. With a dynamic contour, every part and every curve of the electric unicycle is streamlined for a flawless performance. With a fully enclosed design, Airwheel unicycles ensure safety from overheating, over-current or over-voltage. Moreover, each unicycle comes fitted with large-capacity batteries for covering a significant distance after a single charge. A rider can rely on the intelligent dual-balancing chips for achieving a great self-balance for easily moving through congested roads and along sharp turns. With a host of technological innovations and adorable features, Airwheel intends to redefine the future of the commutation. “There is no doubt that Airwheel unicycles will replace the traditional mode of transportation in the near future,” the company spokesperson states. People can choose from a wide range of Airwheel unicycles available with different specifications and amazing features by visiting the website www.airwheel.net. Previous：Airwheel Electric Unicycle Comes as a Safe and Handy Transport.